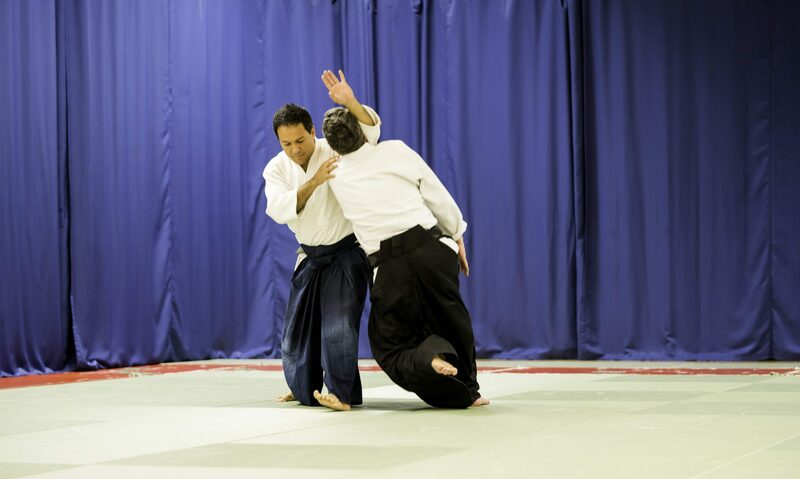 Yoshimitsu Yamada Shihan, 8th Dan, is one of the leading aikido masters in the world. He is the chairman of the USAF (United States Aikido Federation), the Latin-American Aikido Federation and is the chief instructor of the New York Aikikai. Yamada Sensei joined the Hombu Dojo in Tokyo as an Uchi-Deshi, live-in student, in 1955 and soon became one of its top instructors. He trained directly under O sensei himself, and also under other aikido masters such as Kissomaru Ueshiba, Koichi Tohei, Kisaburo Osawa, among others. In 1964 O Sensei sent him to New York City to be in charge of the recently founded New York Aikikai, where he is still based. Yamada Sensei teaches traditional aikido all over the world and is known for his powerful, vibrant and harmonious techniques.